Community college administrators, GRCC students, and politicians respond to President Barack Obama's idea to provide federal and state funding to cover the first two years of college education for all American citizens. In his State of the Union address on January 20, President Obama articulated his hope that “two years of college becomes as free and universal in America as high school is today” by the year 2020. The White House estimates that the proposal to make two years of community college free would save the average full-time community college student $3,800 per year in tuition, and would benefit roughly 9 million students each year. Average debt among Michigan students who graduated in 2013 was $29,583, according to the Project on Student Debt. This amount is the 8th highest in the United States. If the state of Michigan chose to enroll in the program, the federal government would cover three-quarters of the costs, while the state government would be required to foot the rest of the bill. The proposal is still in the planning stages, and the White House has not released any figures about how much the proposal would cost. In order to have their tuition paid for, community college students would be required to maintain at least half-time status and a 2.5 GPA. The proposal would only pay for two years of college, keeping students on track to graduate. 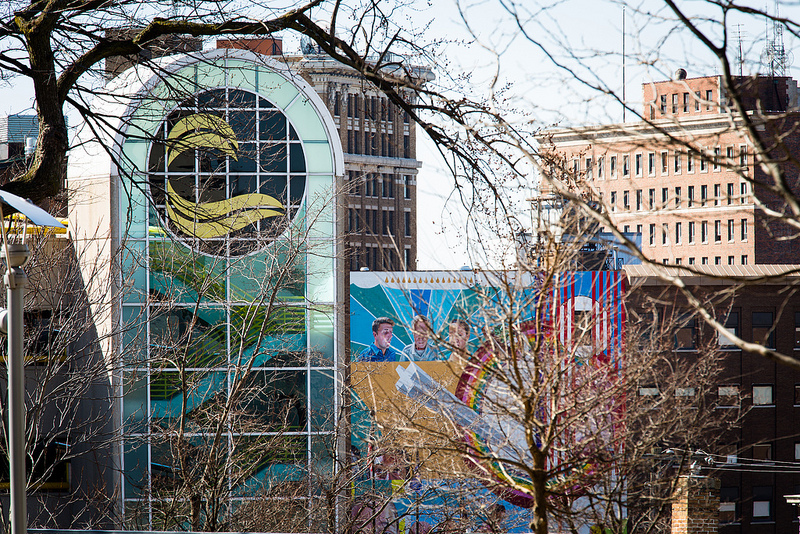 Grand Rapids Community College (GRCC) Provost Laurie Chesley believes that providing free community college would benefit not only students, but the Grand Rapids community at large. “Certainly, individuals who struggle to pay for college [would benefit], but I think more broadly, our communities and societies as a whole benefit, as we have a more educated electorate, and as we have an electorate that’s even more capable of contributing to our economy, to public dialogue, and society in general,” Chesley says. Some GRCC students and community college alumni are tentatively excited about the bill. “Free community college means more educational opportunities for more people and that's a great thing,” says Travis Timm, who attended Lake Michigan College before transferring to Grand Valley State University (GVSU) for a degree in writing. Several students are hesitant in regards to whether the bill would work as intended. "[It] depends on how the resources of the community are drained to support free school," Maureen Clark says. Clark attended Lansing Community College (LCC), and currently works at Spectrum as a nurse. "I can see it being a burden at first. It might be a real boon to GR to have more highly educated people. However, it doesn't guarantee anyone jobs...."
Although Obama has said that Pell Grants and other loans will still be available for students who demonstrate need, many worry that students who previously had these sorts of expenses covered could still have financial issues. "If it were set up so that I could use it for books, that would be extremely helpful, because on top of the scholarships we can use for tuition, the next highest cost for most of us is books," current GRCC student Phillip Kropp says. Clark points out that loans worked just fine for her. "I was able to just work part time while at LCC because of...loans, since they covered my rent and other expenses too," she says. "Without student loans my college track would have been slowed considerably. I was definitely not able to work full time while taking full time classes and I would have needed to in order to pay the bills." There is also worry that the system would be abused, either by students coasting through or looking to exploit the system. Another concern is the low graduation and transfer-out rates at GRCC, which measure how many students complete their program or transfer to another institution within three years. Of students who started GRCC in 2009, only 15% had earned a certificate or degree from the institution and 24% had transferred to other institutions, including four-year programs by the August 2012. The other 69% were either still completing their program, taking a break from school or had discontinuing their education. “Because of the complexity of many of our students’ lives, they often take longer to complete a degree or to meet a goal," Chesley says. "Community college students are often working. They often have very rich lives with their family and friends [and] many obligations. Certainly, that impacts our graduation rate and the time that it takes students to graduate." The proposal has yet to pass through a Republican-controlled Senate and House. Despite the hurdles, Chesley is optimistic about the idea. “Even if the proposal doesn’t become a reality," she says, "I think it was still a really important moment in our country’s thinking about higher education."